The Heiss area is located along the coasts of the Franz Josef Land and could hold up to 140 million tons of oil and 2 trillion cubic meters of gas. 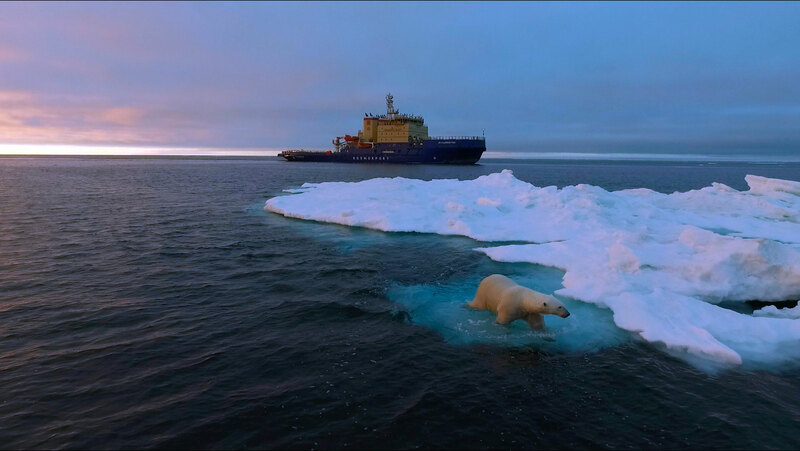 Now, Gazprom is training on how to remove icebergs from the harsh Arctic waters. Two powerful vessels on the 7th September started the towing away of giant icebergs in the northern part of the Barents Sea. It was the first ever exercise of the kind conducted by Gazprom, the company informs. The icebergs were up to 2 million tons heavy. «We give the highest possible attention to this kind of training,» says Aleksey Davidov, General Director of subsidiary company Gazprom Geologorazvedka. «After all, we are talking about a unique region with very vulnerable nature and people working under extreme climatic conditions,» he adds in a comment. It was Gazprom Geologorazvedka that conducted the training and the two vessels involved both had icebreaking capacity, the company says. After completing the exercise in the northern Barents Sea, the vessels set course for the Kara Sea where they did oil spill training along the two rigs that currently is doing well drilling at the Rusanovkoye and Nyarmeyskoye fields. The training with icebergs is likely to have taken place within the borders of the Heiss license area, a potentially very rich oil and gas field acquired by Gazprom in early 2015. According to the company, preliminary estimates include a resource potential as big as 140 million tons of oil and condensate and 2 trillion cubic meters of natural gas. The license area is 86,300 square km big and located on up to 500 meter deep waters. It covers a lion’s share of the waters between the archipelagos of Novaya Zemlya, Franz Josef Land and Severnaya Zemlya. When Gazprom obtained the license, about 8,300 2D seismic mapping had been conducted in the area. The license area carries the same name as an island located in the central parts of the Franz Josef Land. What are 5 Norwegian supply vessels doing in Russia’s Kara Sea?